Earlier this week, Emily and I took her nanny out for a birthday treat. We were away for her birthday a couple of weeks ago and promised to take her out for a nice lunch. We had planned to go to Oakes Farm Shop in Balsall Common, but we discovered just before leaving the house [when checking the address online] that they are shut on Mondays! After a quick hunt for an alternative and a call to Emily's mom for inspiration, we picked Rita up from her house and headed to Packwood House - a National Trust property in Solihull. Packwood House was built in the 16th Century and has immaculately kept grounds, which we enjoyed wandering around after a nice lunch in the fairly recently built restaurant on site. You can pay extra to go in the main house, but we spent around £6 each on entry to the cafe and grounds only, which was good value for a nice afternoon out. The food was very tasty and reasonably prices in the cafe. We were pretty lucky with the weather, as there were a couple of showers while we were there, but thankfully when when we were able to take shelter in different places in the grounds! The nicest part of the gardens was the Kitchen Garden, where lots of different fruit and vegetables were grown. You could also take away some of the fresh produce in return for a small donation to the upkeep of the gardens. There was a Teddy Bears Picnic on display, which was really cute. Last week my girlfriend Emily and I went on a short visit to see friends in London. We were staying with our friends Stefan and Jemma near Queens Park and we met up with Charlie, who I went to Uni with and her lovely husband Dom. Stefan and Jemma recently moved into a new flat, so it was great to see this and to spend some time with them. On Thursday we headed to Camden to all meet up for drinks and stopped off at Byron for dinner. I've been a vegetarian for years, but was tempted by a very nice looking veggie burger and courgette fries, whilst my carnivorous friends tucked into some big juicy burgers! I really liked the retro decor in Byron and our eastern-European waiter was very friendly and attentive too. Would definitely recommend a visit to one of the many Byron restaurants. 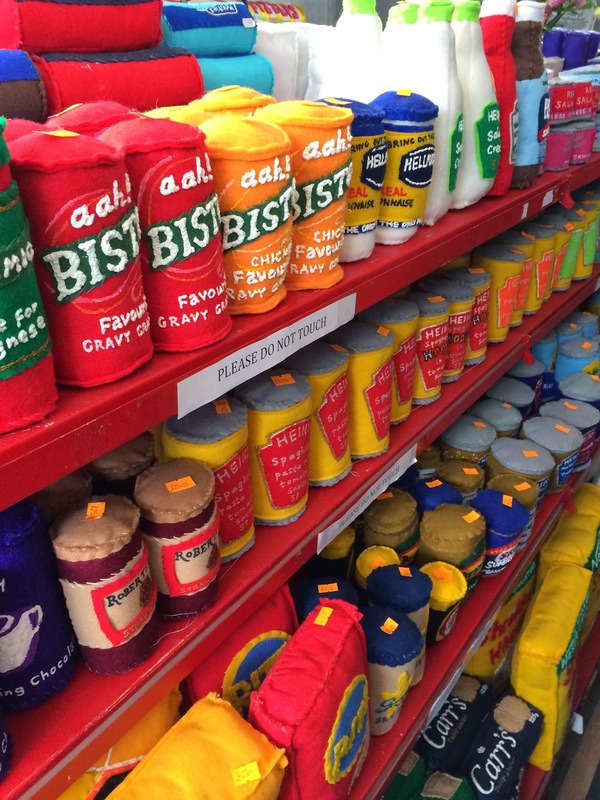 We visited a cornershop in Bethnal Green, where EVERYTHING was handmade from felt! 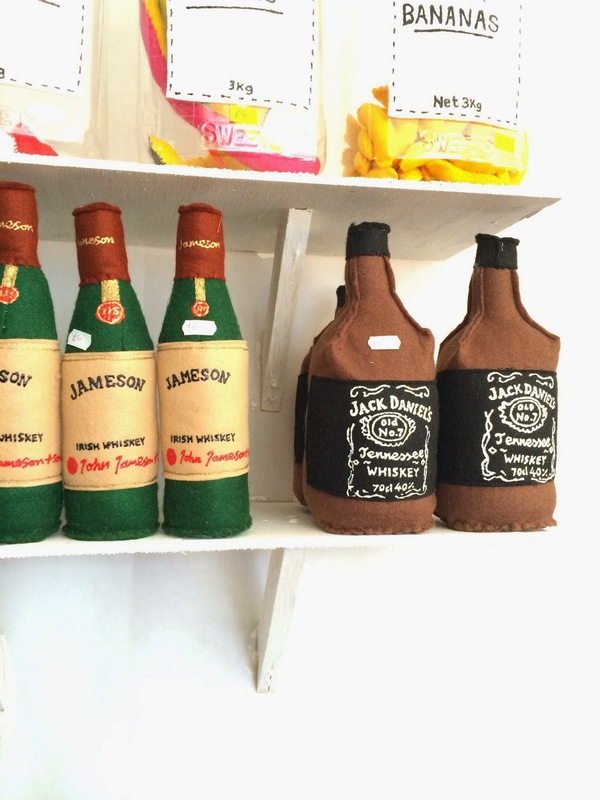 This is an art project by Lucy Sparrow, which I wrote about here. 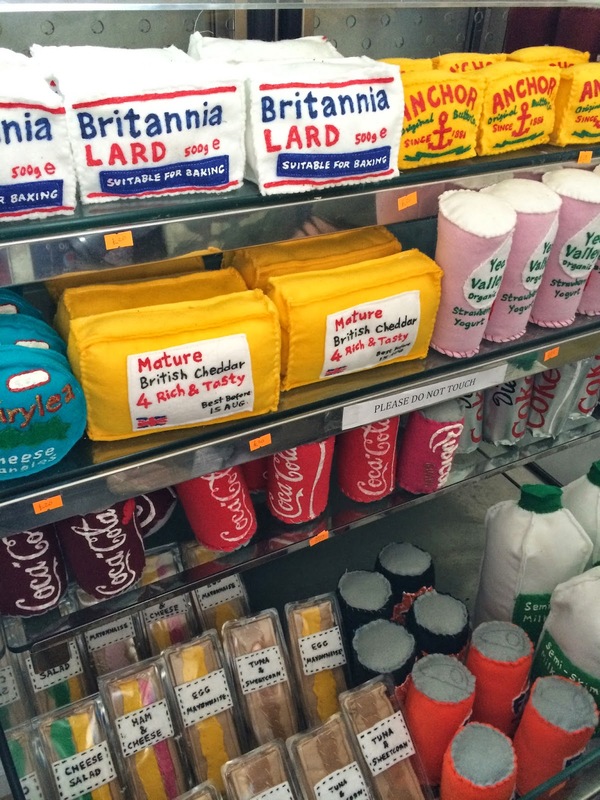 We made the most of travelling to that area of London by having a nice wonder around Shoreditch and Hoxton and mooching round some quirky shops on Brick Lane. Having been a fan of street art for a long time, I really enjoyed the varied styles emblazoned onto various surfaces around these areas. I put a few photos up on Instagram and someone commented on each saying who the artist was, which was cool. I've followed a few new accounts as a result of this, which have livened up my Instagram feed! There are some really interesting shops at Box Park in Shoreditch, which I recognised as having been used on The Apprentice a year or two ago. Box Park is a semi-permanent collection of shipping containers that all house shops, ranging from High Street brands such as Gap and STA Travel, to small independent clothing brands. Next to this was also a lovely 'love lock' piece of fencing, which I would associate more with romantic places such as Paris, but was still lovely to see! Whilst in the area, I was pleased to finally visit a Rough Trade store. 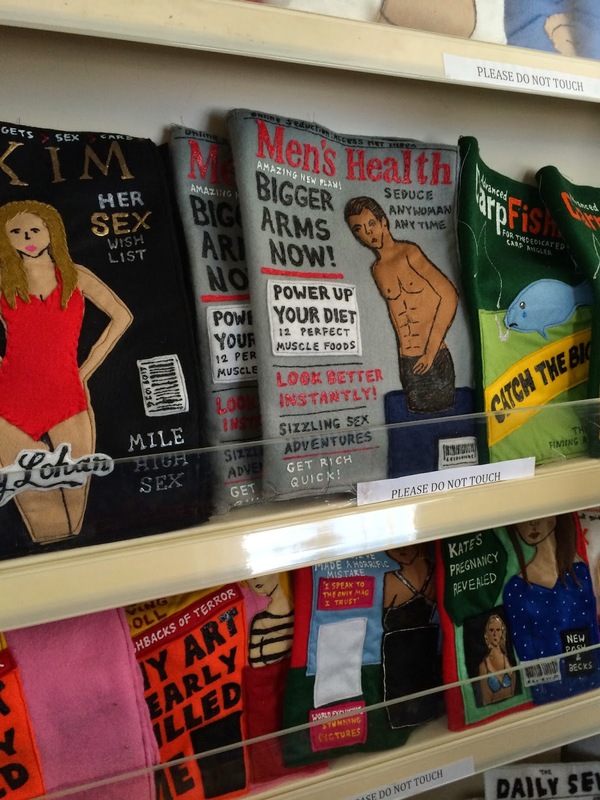 I've heard they're great and I've been to small festival pop up shops, but never one of the actual Rough Trade stores. There's a stage at the back of the store, with loads of fairly established bands programmed to play there throughout the year. Sadly there was nothing on while we were there, but Stefan was excited that Magic Numbers were playing there soon. Rough Trade serve a great coffee too! Having been admiring street art throughout the day, it was really cool to see this in progress on the side of the Barfly, as we walked down Camden High Street later in the day! Apparently the graffiti artwork on the side of the Barfly changes regularly and it was great to see the artists at work on top of a cherry picker. We were walking down Camden High Street to head to the Roundhouse, where our friend Jemma works. I've heard so many great things about this venue, so it was awesome to be able to finally see it. Alongside many big shows and performances hosted at this venue, they also have a huge youth programme and do a lot of great work in the community. At the moment they have a beach set up on the roof, with a bar, fish and chips being served, deck chairs, beach huts and more ...in fact it's as close to being at the beach as you can get for the middle of London! Stefan couldn't resist making a sandcastle, which was quite surreal given the location. Stefan making a sandcastle on a rooftop in Camden! 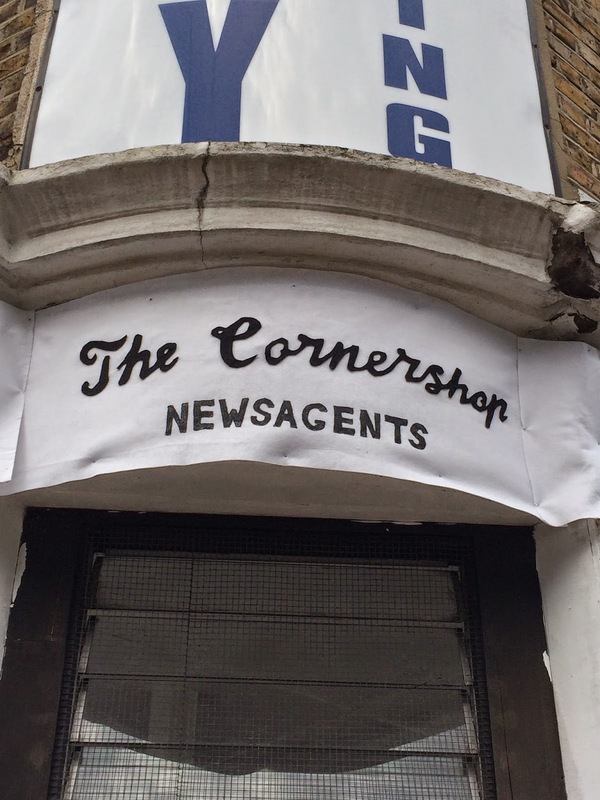 A few months ago I backed a project called The Cornershop on Kickstarter. 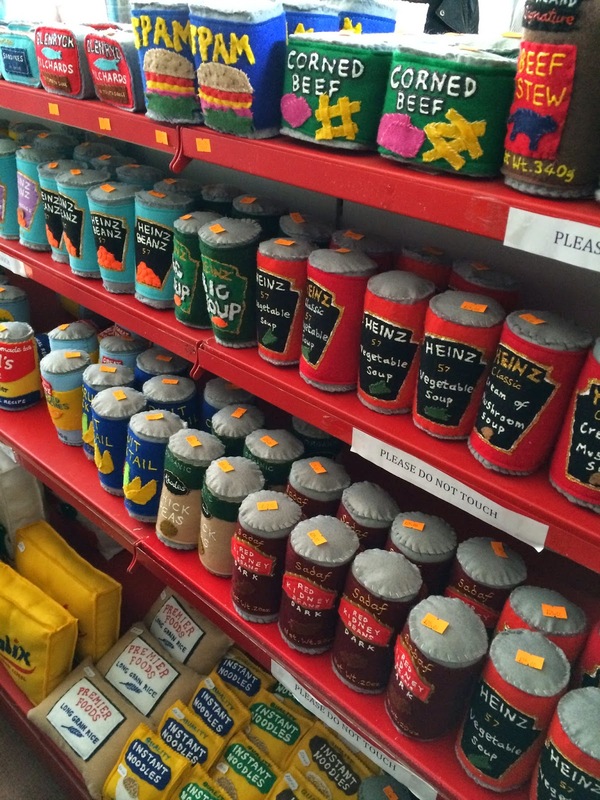 Artist Lucy Sparrow endeavoured to turn the contents of an entire cornershop into products handmade lovingly herself from felt. You can view Lucy's Kickstarter pitch here, which hugely surpassed her original goal of £2,000 and finished on over £10,000. Lucy also secured National Lottery and other funding to create this very unique project. I've just got back from visiting friends for a couple of days in London with my girlfriend Emily. 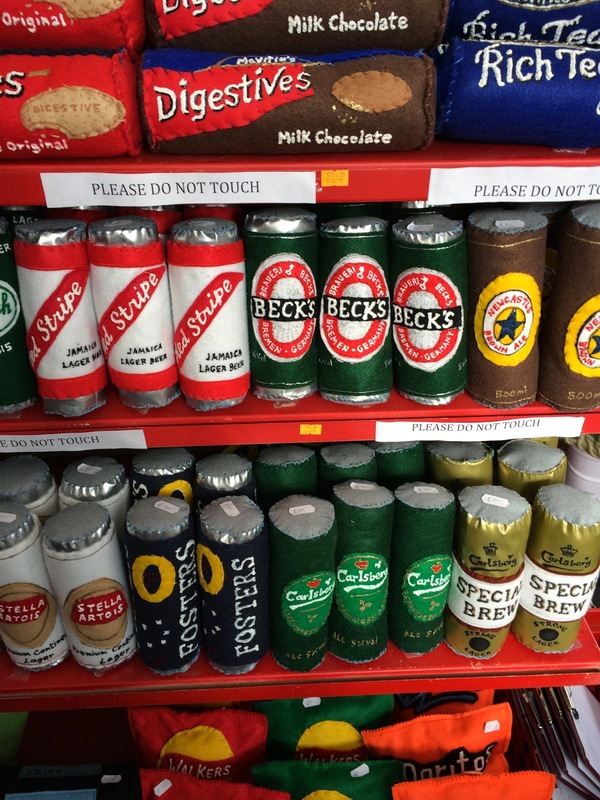 We decided to go and visit The Cornershop while we were in the area and I'm really pleased we did. 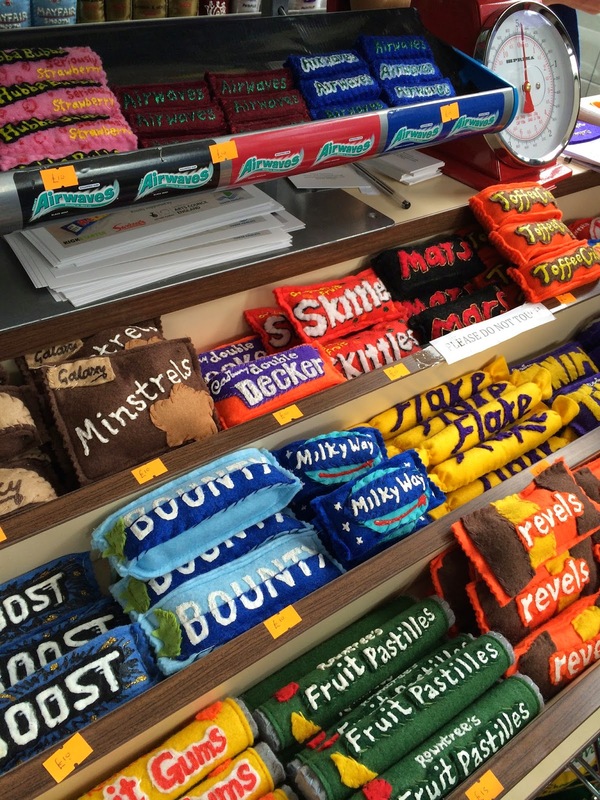 The attention to detail on every handmade item and into all the lovely little touches in the shop was really impressive and I was amazed at how busy it was while we were there! I also loved seeing something I had helped create, in a very small way, by backing the project myself a while back. Check out a few of my iPhone snaps below, but make sure you go along and see it yourself if you can! 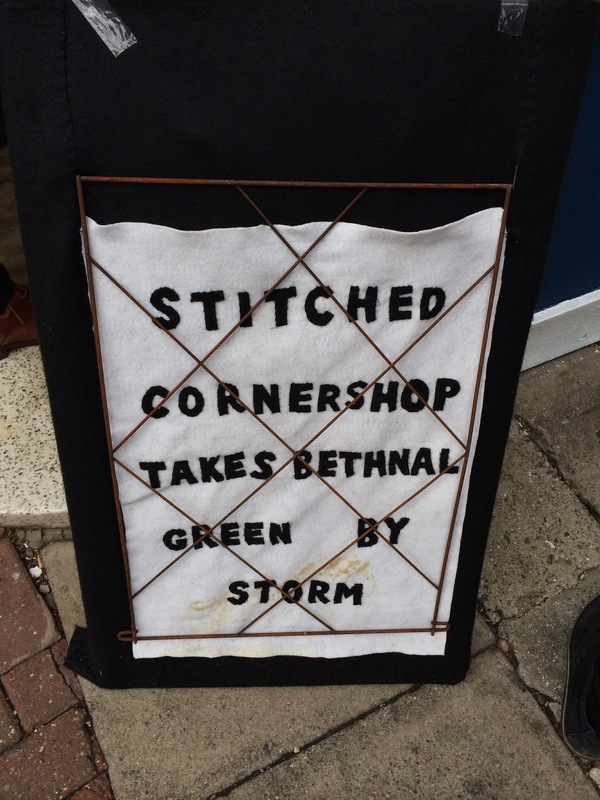 The Cornershop is in Bethnal Green, which is a great area in itself to explore, along with local Shoreditch and Hoxton. 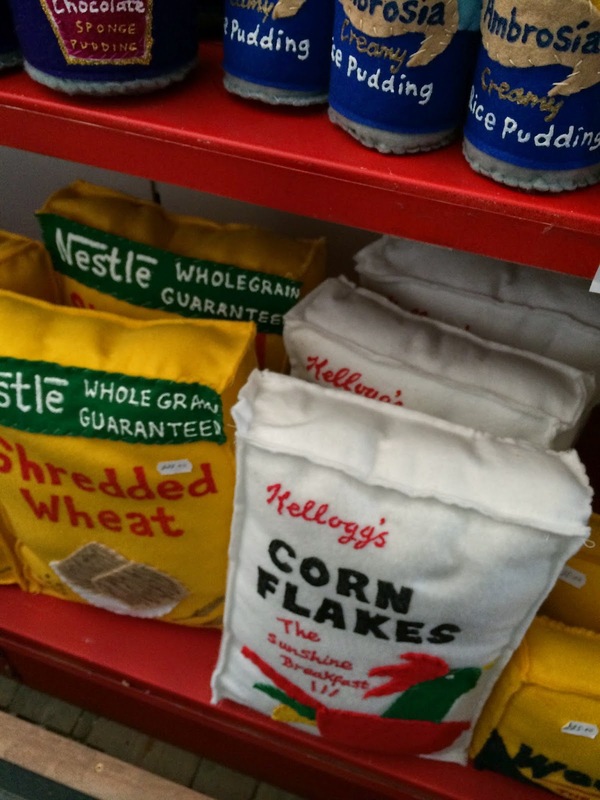 You can read more about Lucy Sparrow and her projects, including The Cornershop, on her website here. Last weekend I headed to Boardmasters Festival in Newquay. This festival is based over two sites: Watergate Bay accommodates the main arena and music, along with the campsites, along with Fistral Beach five miles down the road. Fistral is home to surf competitions, traders and other entertainment. 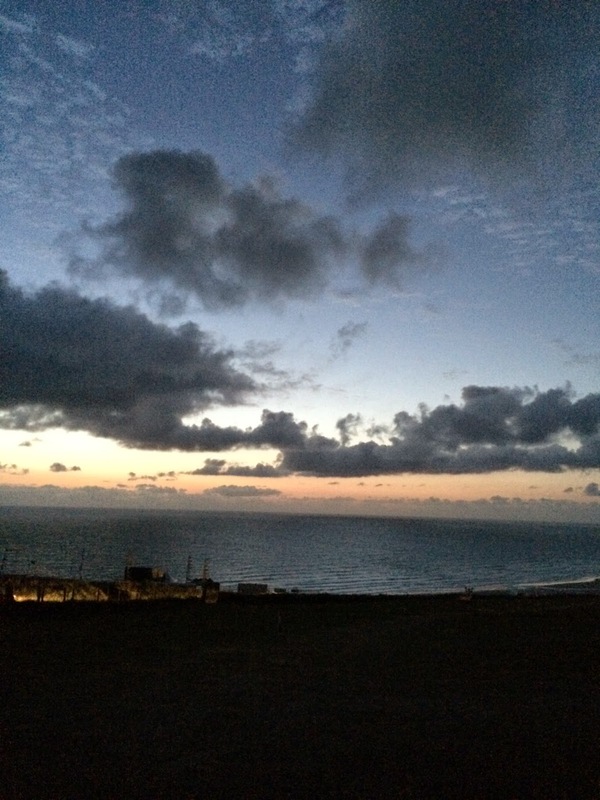 We arrived on Wednesday night, just in time to enjoy an amazing sunset in Watergate Bay. The festival is much more spread out than most I have been to, and has a great feel about it. The view over the top of the hill as you come into the area is breathtaking. I just generally like being near the sea! 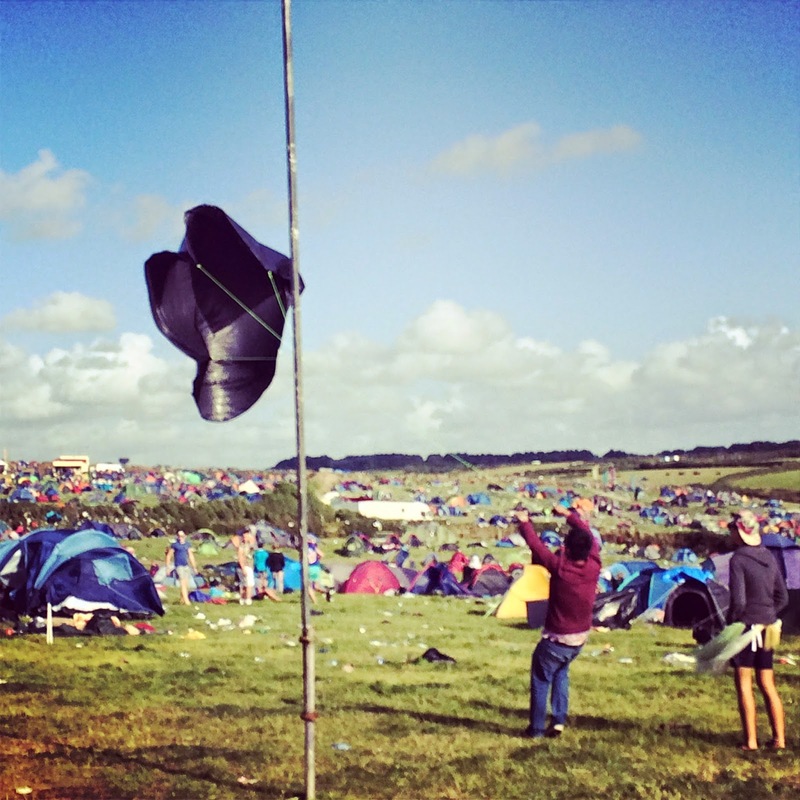 Boardmasters is run by the same company as NASS Festival, which I wrote about here. 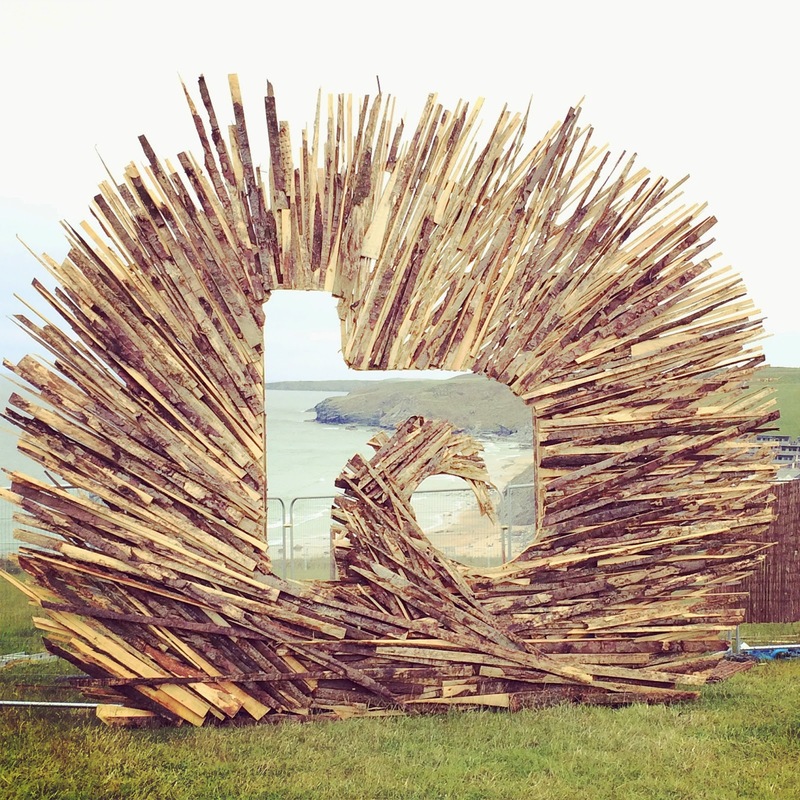 As at NASS, the theme team did a great job of making the site look awesome, with loads of cool features and signage, including the Boardmasters logo made out of wood, with the beach as a backdrop, as you can see below. I was working pretty solidly throughout the weekend, so didn't see much in the way of music. 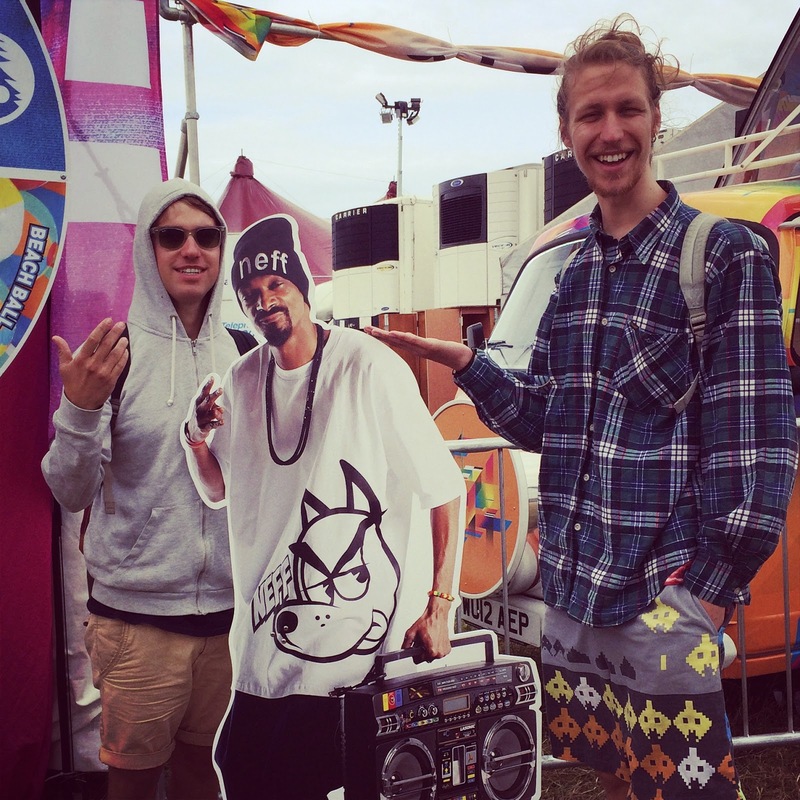 My friend Sam and I were pretty delighted to bump into Snoop Dogg though [sort of]. His personality was a bit flat! [sorry]. 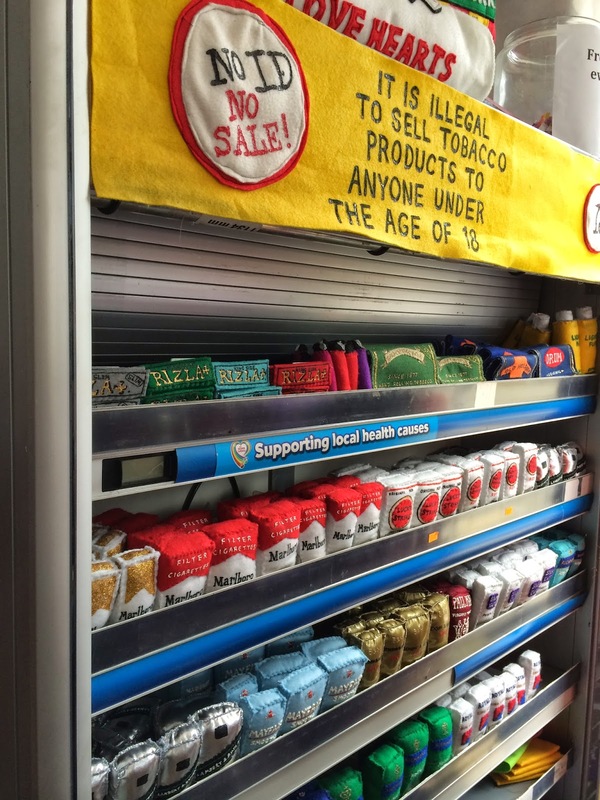 The main arena hosted loads of great traders and brands, including Neff, Movember, Havaianas and Coca Cola with their personalised bottle label machine, plus many others. The Co-operative 'tweet4aTable' campaign was there too, and we were pleased to win a table for four, with a free dinner by tweeting them! Sadly we didn't get to enjoy this amazing looking food, as the festival was closed down before we could eat this. Read on and I'll come back to this! 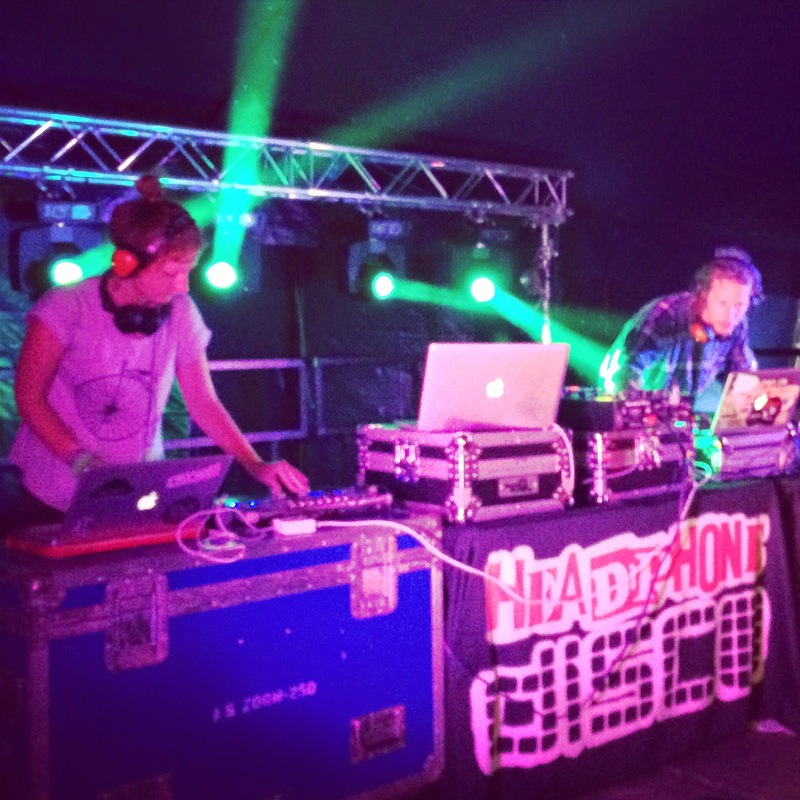 I was at Boardmasters to run the Headphone Disco shows in the public campsite. This ran for six hours each night from Thursday to Sunday, with up to 1,000 festivalgoers at one time enjoying music played over two wireless channels. We were kept very busy all weekend by a huge number of people partying with us. My crew of 28, including some very talented DJ friends made sure the shows ran very smoothly and they all worked very hard. We were one-in-one-out a few times and the DJs had a great time playing tunes to a very lively crowd, with a variety of genres including Chart, Dance, Party, Cheese, Drum and Bass, House, Trap, Dubstep and more. 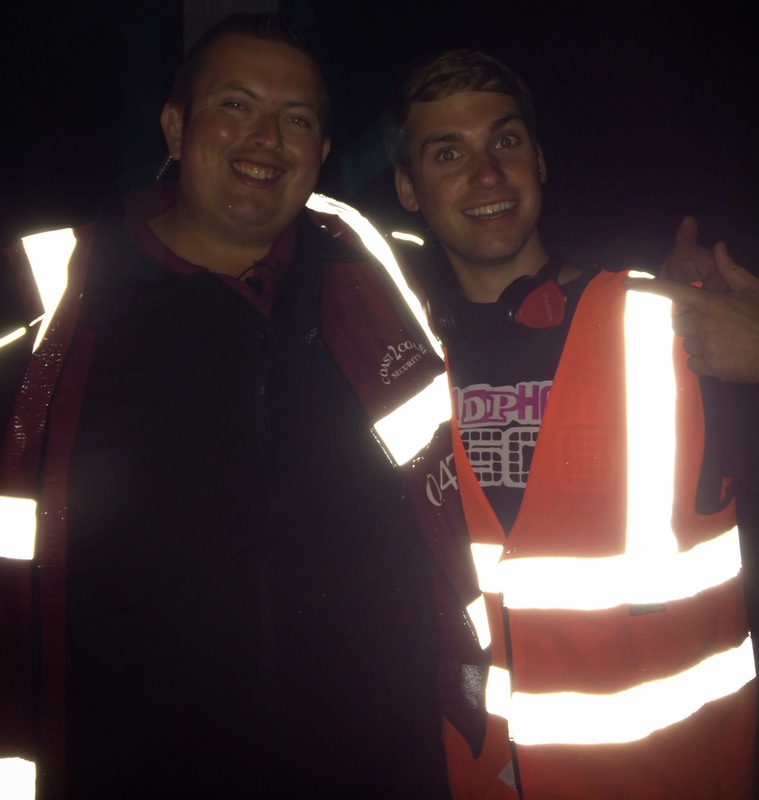 On the first night, I thought I recognised a security guy who was working with us, and it turns out he had been on Take Me Out! His name was Ian and he is a bus driver by day. He sang Wheels On The Bus as his special skill, which you check check out on the [poor quality] video below! He says in his video that he enjoys a bit of DJing - perhaps I should offer him a set at Headphone Disco! Ian from Take Me Out and myself. The high vis crew! We'd been hearing varied reports and rumours that bad weather was heading towards us, which was a knock on effect from Hurricane Bertha, which battered other parts of the World recently. Everyone kept saying "a hurricane is coming!" which seemed rather overdramatic. In the early hours of Sunday morning the weather did get pretty bad, with gale force winds damaging tents and structures at the festival. I was kept up for hours by the sound of the wind, before being woken up very early by our tent being snapped by the wind! 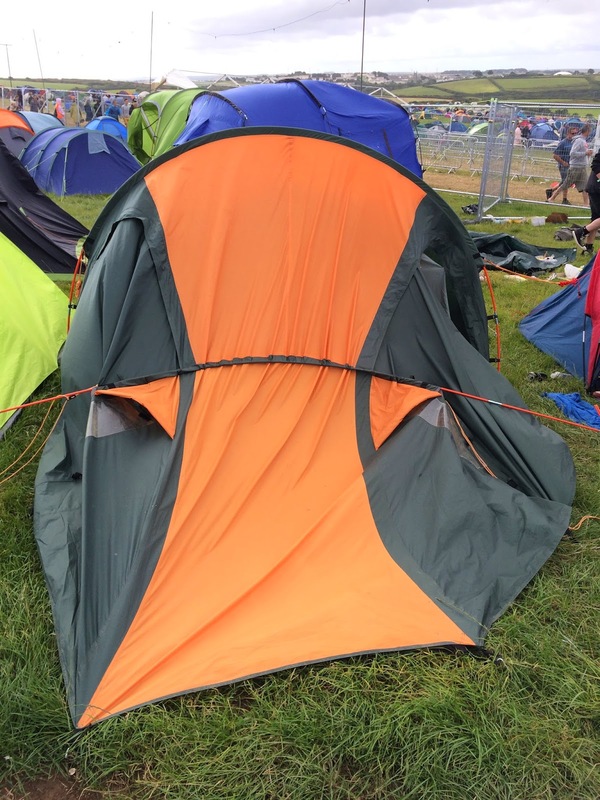 We've had the tent for two years and it's been to over a dozen festivals with us, so we're pretty annoyed. Hopefully we can get a replacement pole rather than having to buy a complete new tent. My girlfriend Emily tweeted a bit of a jokey tweet about the campsite being 'carnage', as everyone really was running around trying to peg their tents down to stop them getting blown around so much! Emily was joking when she said "pretty sure this is the end", implying the end of the World, but the reporter clearly thought she meant end of the festival. They used her photo too [see the purple broken tent in the article]. You can read the BBC News article here. At around lunchtime on the Sunday it was announced that the festival was cancelled, due to the wind creating health and safety issues in the main arena. Punters were encouraged to go home and there was a pretty quick exodus of the site. It was decided that they would keep the Headphone Disco tent open as planned in the public campsite, to entertain the festival-goers who were stranded due to trains or lifts being booked for the Monday. We were full all night and had a great time entertaining the remaining campers! Someone using their tent as a kite! Due to our tent being broken, we had decided that we would drive straight home at 2.30am, when we had finished packing up. We got in the van, which wouldn't start as it had a flat battery! After a very long day and barely any sleep the night before, I literally couldn't believe our bad luck. 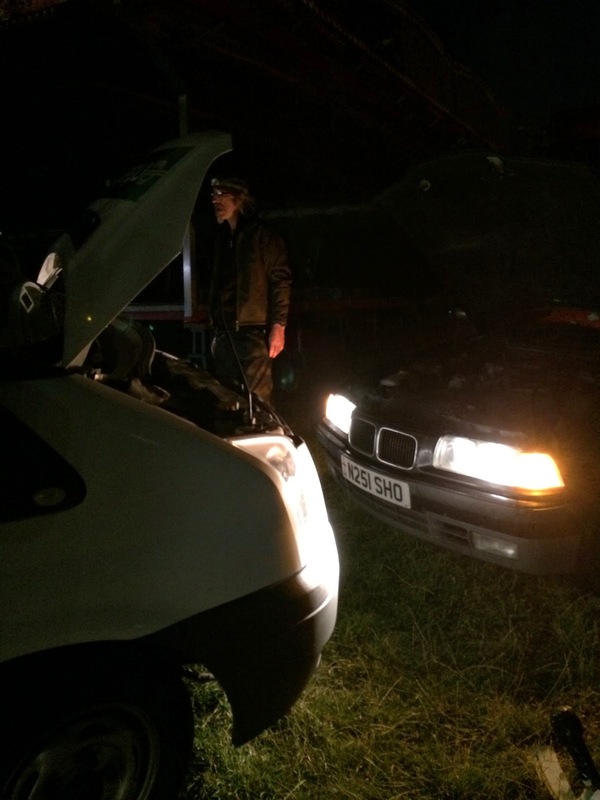 The campsite manager, some of the security staff and some lighting technicians all very helpfully pitched in to try and jump start the van, but the battery was flat as a pancake and wasn't going anywhere. I then called AA, who took over two hours to arrive, by which time it was my batteries that were also fizzling out! Once the AA guy had started the van, he said we couldn't turn the van off for around 30 miles, to allow the battery time to charge. We drove for around 35 miles, before finding a layby to sleep in for a couple of hours, at around 6.30am. Three of us slept in the front of the van, with me sleeping across the footwells! More comfortable than it sounds, but I won't be making a habit of it. Boardmasters was a very long weekend for me, but very rewarding, as we had four very successful shows, that I am proud to have managed. Roll on next year! Emily and I recently paid the balance on our flights for our round the world trip later this year. We booked with STA Travel, who specialise in travel booking for young people. We booked our flights for Thailand on the STA website earlier this year and were pleased with the price and service. For our round the world trip we booked an appointment at the Cheltenham branch, where one of the team spent over two hours looking at all the best flight and travel options for what we wanted to do. They really understood what we wanted and all of the staff have done lots of travelling of their own, so they were able to offer lots of great first-hand advice. For our next trip, we return to Thailand in mid-October. We're going to travel by land to Cambodia and Vietnam and we're hoping to see some of Malaysia before flying out of Kuala Lumpar, five and a half weeks after arriving in Asia. We're then flying to New Zealand, to explore the North and South Islands for three weeks, before flying to Australia for a few days in Melbourne and a week in Sydney. Having spent two months travelling around Thailand earlier this year, we feel a lot more prepared than last time, so we're hoping to get even more out of our travelling time. 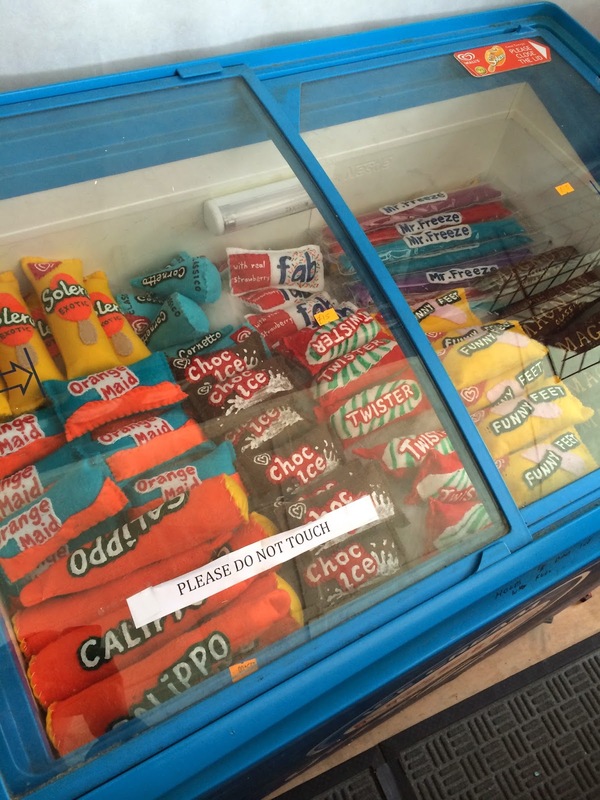 One of our travelling details we weren't sure of was how best to explore New Zealand. We had been thinking of booking a camper van, which friends of ours had done previously. After chatting at great length with the advisors at STA, who had travelled around New Zealand themselves, we booked the Kiwi Experience bus service. I'm not a great fan of driving, having to travel long distances around the UK to run events. I didn't feel like I would enjoy hours of driving and the advisors pointed out that travelling on the buses would be a lot more sociable too. When you factor in the cost of paying for camper-van pitches on route, plus the inconvenience of living in a van for three weeks, we decided that the Kiwi Experience was best suited to what we wanted to get out of our time in New Zealand. There are various different routes you can choose from, with different price bands, but we think the Sheepdog option we chose will work nicely for the amount of time we have in the country. I'm sure I'll be writing much more about this in a few months time when we experience it for ourselves!